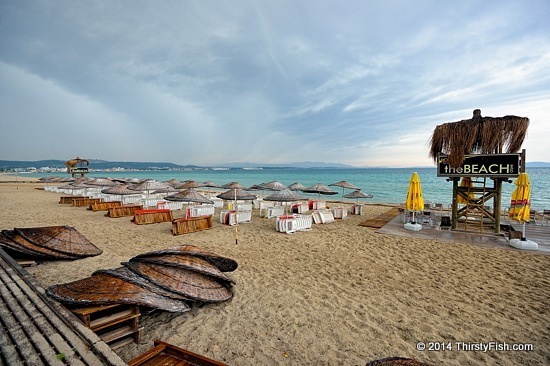 I've been complaining about bad light recently; Just as I arrived at Ilica Beach, it started to rain. I got out of the car anyway, and for a few moments, the setting sun peaked under the cloud cover. Here's the result. Ilica is preparing for the season which will begin in a couple of weeks.